We’re in Old Billingsgate, London, where Honor has officially launched its Honor 10 smartphone in the UK. The beautifully-designed smartphone crams in some seriously impressive specs, and dual-lens camera skills in a handset that offers cracking value for money. Honor president, George Zhao took to the stage here to introduce the phone. There’s so much to tell you, but let us start with the stand-out features. It’s got a beautiful 5.84-inch screen with a 19:9 edge to edge display, and with the dual AI camera you’ll take photos like a pro – even if you’re anything but professional. 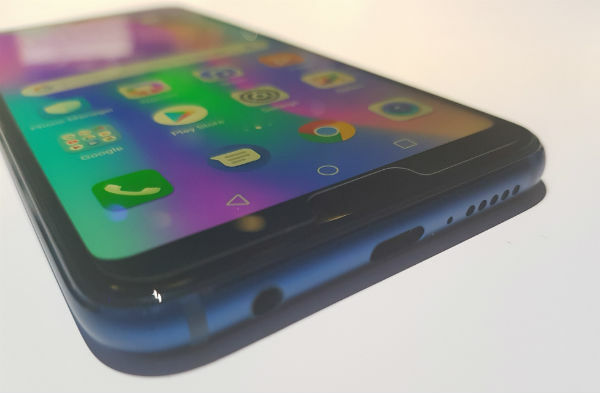 Here’s everything we got to hear about the Honor 10 smartphone. The front camera packs a top-quality 24MP for selfies that will look like masterpieces. 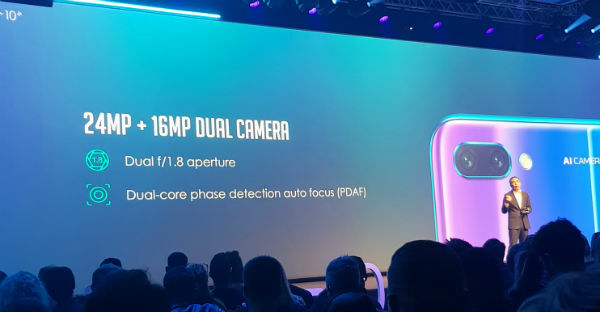 And when it comes to the rear camera, dual 16MP & 24MP cameras, together with an F1.8 wide aperture, will combine to give you snaps that have great depth and a classy Bokeh effect – a sharp foreground and a blurred background. It improves performance, and helps you to take stunning photos and video. Accurate dynamic image recognition reduces camera lag, so you get sharper pictures. It’s up to three times faster than iPhone X when it comes to capturing images. The AI even adapts to what you take photos of. Honor says the AI inside the phone recognises over 500 scenarios across 22 categories. For example, it knows if you’re taking a photo of your food, or your pet cat, and adapts to provide the best camera settings for the perfect picture. The Honor 10 takes stunning selfies, too, thanks to a 3D portrait mode. With soft lighting effects, it’s like having your own lighting studio. Honor says you’ll get ‘professional-grade portraits’ every time. The 24MP camera on the front captures every strand of hair, and every sparkle in your eyes, or those of your subject. You’ll basically look good without even trying. And when you’re done taking photos of people, the AI inside the phone can even recognise individual faces, and group them into albums of different people. There’s also intelligent group photo framing, even your group photos will look as good as the best album covers from your favourite bands. Thanks to the AI, "normal people can take photos, not [just] professional photographers", says Honor’s president. Stunning design. Bags of power. One of the first things you’ll notice is just how striking the Honor 10 is. With very slim bezels and a glass back that reflects vivid colours from every direction, it’s a phone that turns heads. It literally changes colour before your eyes. 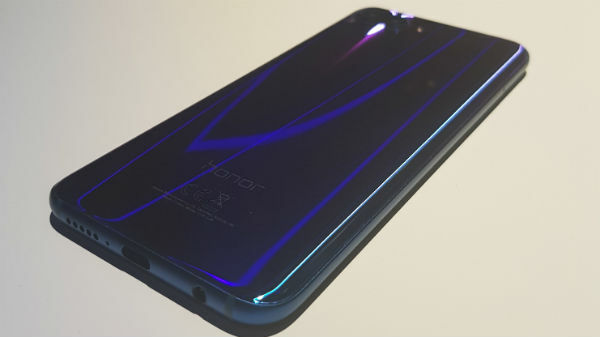 Honor 10 president George Zhao showed us the stunning Phantom Blue colour, and described it as an industry first. The company believes it has created the perfect glass-back of any phone. Each phone is truly unique thanks to what Honor describes as “3D glass.” We also saw the midnight black colour, which is just as gorgeous, without the colour-changing glass back. When it comes to the display, let’s just say your videos and movies will look the business on the edge-to-edge 5.84 inch screen. The display is sharp, and if you’re watching from an angle, you’ll see that there’s almost no loss of brightness. The size of the device is perfect for a one-hand grip, says company president Zhao. That’ll come in handy when you’re taking photos with that dual-lens camera. And under the hood, fast performance is guaranteed, with a powerful Kirin 970 processer and up to 6GB RAM. You get a large 3,400 mAh battery, which will see you through the day and as much as a mega 128GB of space. So, all those great pictures you’ll be taking? Well, at least you’ll have somewhere to store them. With the Honor 10’s Ultra-fast Face Unlock and Ultrasonic Under-glass Fingerprint Sensor, you get faster access to your phone. Worried about wet hands? No worries – the fingerprint sensor is under the glass, so you’ll still be able to unlock your phone. And if you’re running low on battery, rest assured that a quick splash and dash will bring you up to 50% in just 25 minutes thanks to Honor SuperCharge. The Honor 10 – available in Phantom Blue and Glacier Grey – really is a knockout piece of kit. If you want to get your hands on one – and who could blame you? – you can buy it right here.